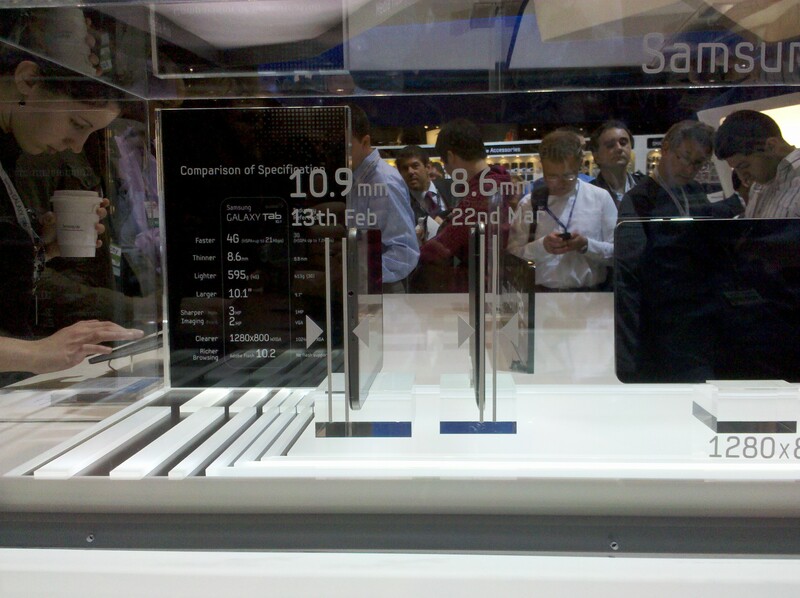 For many companies, CTIA has taken a backseat to the Mobile World Congress and CES this year, but not for Samsung. Just a month after unveiling its Galaxy S II and Galaxy Tab 10.1, Samsung showed off two new tablets and mouthful of software and UI enhancements for its entire tablet lineup. Our complete recap is below. In a sign that competition is incredibly stiff in the tablet space, In the last two weeks, Samsung went back to the drawing board with its already revealed Galaxy Tab 10.1 and remade it. 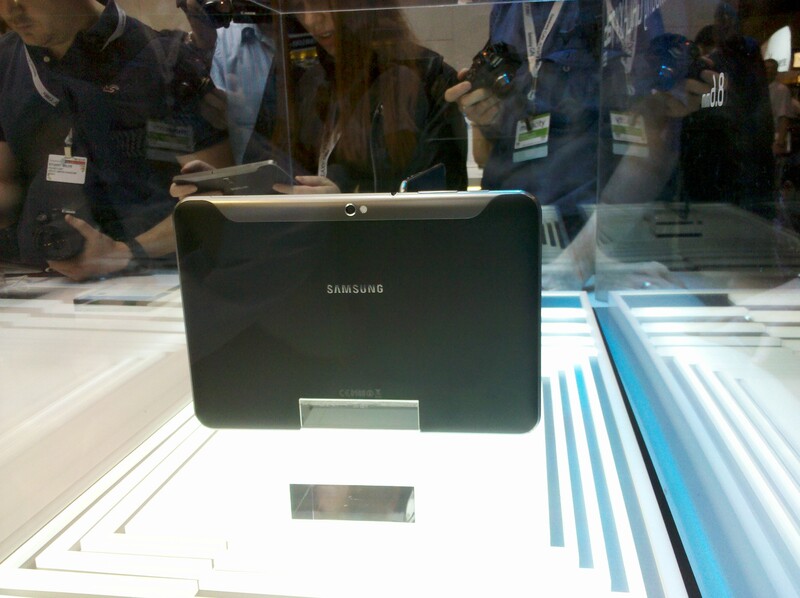 The new tablet has done away with the hard corners of the Galaxy Tab 7, now sporting rounded edges and a flatter back. The large, round Samsung logo on the back of the unit has also been replaced by a more minimal logo without the circle. The manufacturer claims that the new 10.1 is the “thinnest and largest tablet in the industry.” It measures a scant 8.6 mm thick. 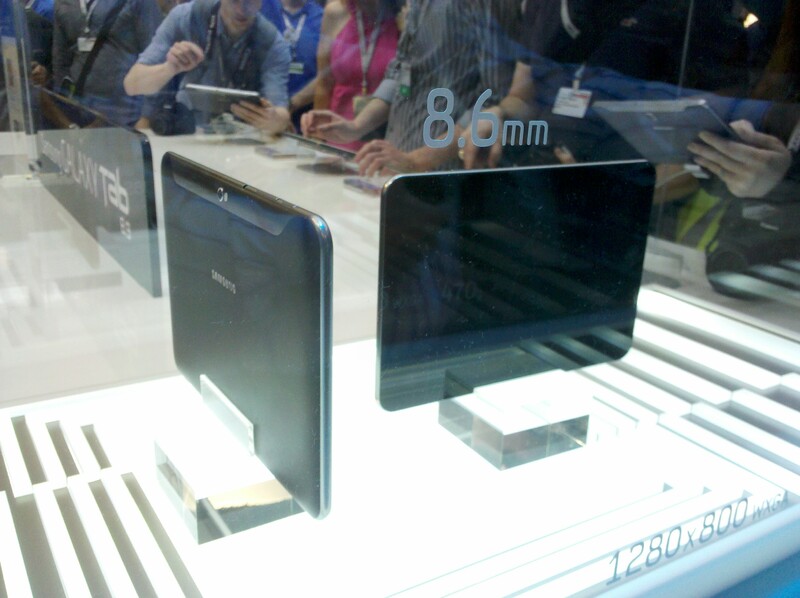 For comparison, the old Tab 10.1 (unveiled Feb. 13) was 10.9 mm thick and the new iPad 2 is 8.8 mm thick. The back of the unit features an “easy grip” material. Oddly, the 10.1 units on display at CTIA are still the older, fatter 10.1. 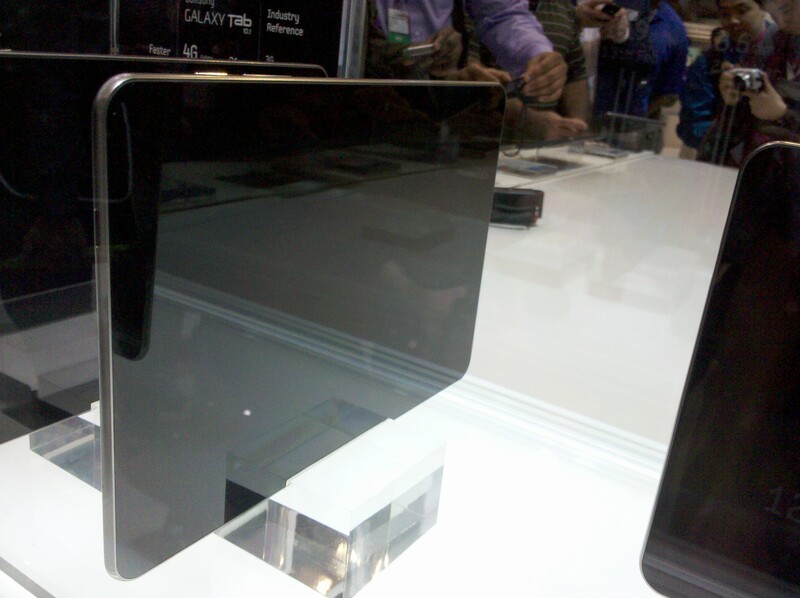 The newly designed, thinner Tab 10.1 was in a plastic display case and hasn’t yet been seen in operation. In addition to the revamped 10.1, Samsung announced its new Galaxy Tab 8.9, a slightly smaller tablet that is being marketed as more of a productivity device than the 10.1, which is being framed as a movie and media consumption tablet. The new Tab 8.9 isn’t a whole lot smaller than the 10.1, but Samsung claims it is just small enough to fit in a business suit pocket. For the most part, the Tab 8.9 shares most of its design with the new 10.1 including the grip rubber back. 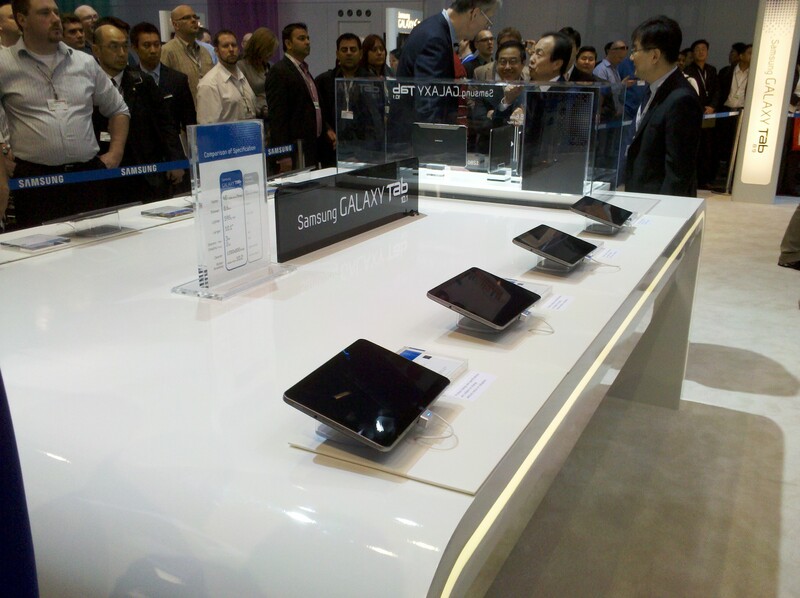 Much like the Tab 10.1, the working Tab 8.9s on the show floor are of an unannounced, older design. The newly designed, thinner Tab 8.9 was in a plastic display case and I haven’t seen it working. In a unique movie, Samsung also announced pricing and availability information for both new tablets. Both will come in Wi-Fi and 3G (and HSPA+ for AT&T) versions at 16GB and 32GB, just like the iPad 2. The prices for the 10.1 match the iPad 2, while the 8.9 actually undercuts Apple a bit. 3G and 4G versions will be very competitive, claims the company. We’ll have more information on Samsung’s new software announcements in a separate post. Nokia making a tablet without Microsoft?